Bb Wagner Tuba, 4 valves, yellow brass, (GB-leadpipe), appropriate to 1st and 2nd Tuba part. Formcase, silk plush, for Wagner Tuba, oil shelf . Engelbert Schmid Wagnertubas represent a revolutionary new development, which puts an end to decades of compromises. They are in tune like a good horn. They sound like a Wagner Tuba should sound. In a way strange, mystic, not too round, not too much euphoniumlike. A bit deeper mouthpiece than for the horn suits most players best for a Wagner Tuba. Clear and fast. There are no bad notes. A Wagner tuba needs more air than a horn and it is harder to control the intonation in fortissimo. 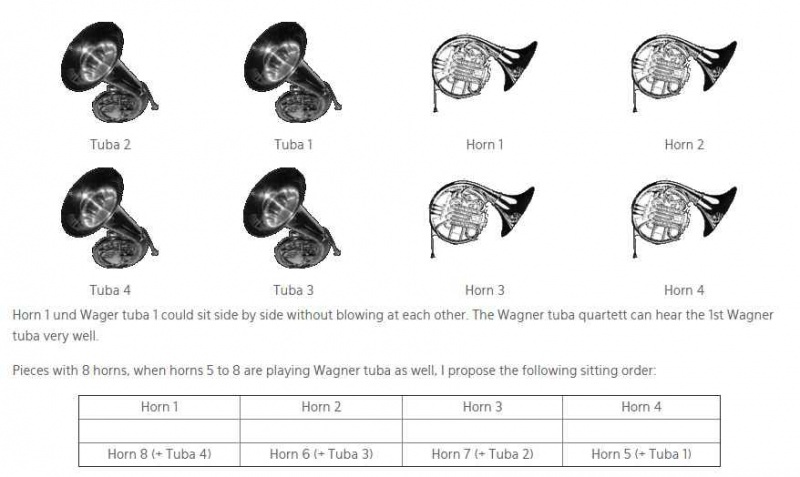 The difference to a horn is cleary decreased with an Engelbert Schmid Wagner Tuba. The horn player feels comfortable immediately. Facility and slurs are as good as with an Engelbert Schmid Horn. These tubas are technically so versatile, that they will find their way into brass ensembles. Compared with the horn the thicker sound of the Wagner tuba blends very well with these relatively loud ensembles and is able to mellow the shrill dominance of the trumpets. 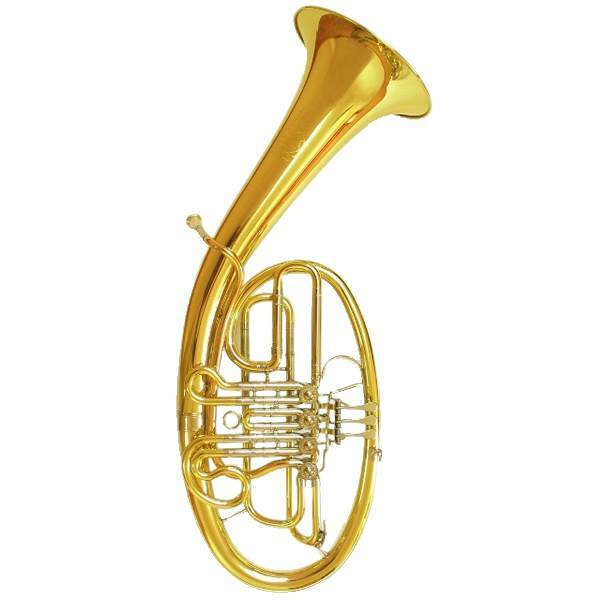 A brass quintett could form a tuba trio, or the quintett could be enlarged to a sextett by a second horn player/Wagner Tuba player. The left hand grasps the first branch of the Wagner tuba which has approximately the same diameter as the grip on a horn. Thumb and main levers have the same position as on a horn. The mouthpipe is bent in a way so not to have to stretch the head upwards. The whole instrument is ergonomically balanced and you can see the conductor, as well. The resulting bell direction has more advantages than disadvantages. In some cases, depending upon the position on stage or in the pit, you might have to experiment in order to find a new, better sitting order. The recommended position shown in the following tab "Seating order"